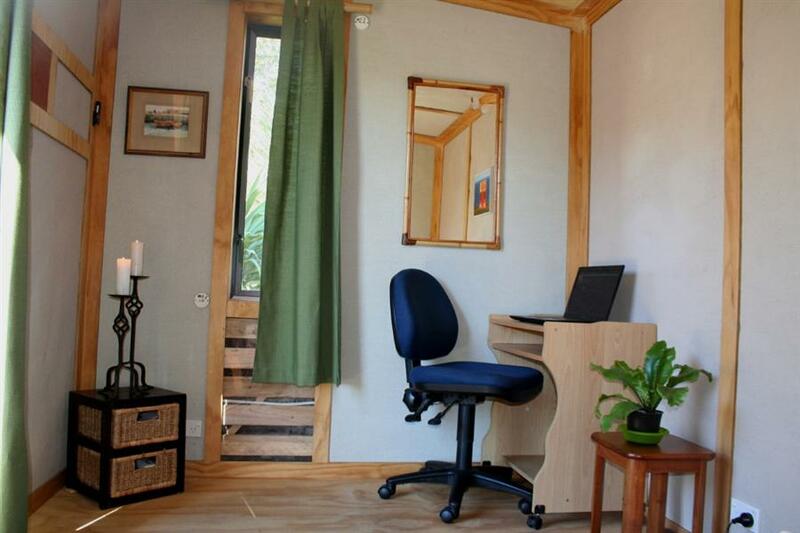 The POZIE is an eco-cabin built from 90% recycled waste material. 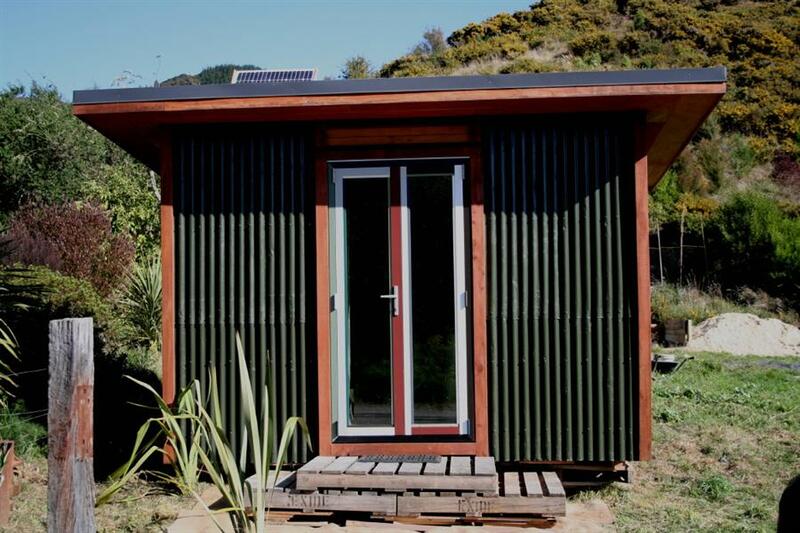 Since Spring 2007 I have realised my mission was the quest for AFFORDABLE AND SUSTAINABLE HOUSING. 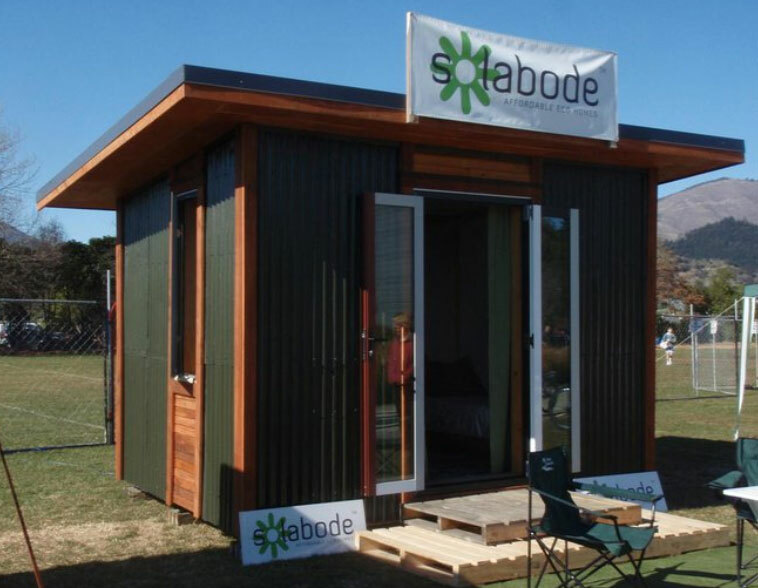 The Pozie concept takes all the lessons learned from the Solabode journey and adds a new major difference; It is made of up to 90% recycled waste materials in an attempt to reduce costs and significantly lower its carbon footprint. Summer 2017; Our Pozie now resting next to the Wakamarina river near Canvastown, Marlborough NZ. 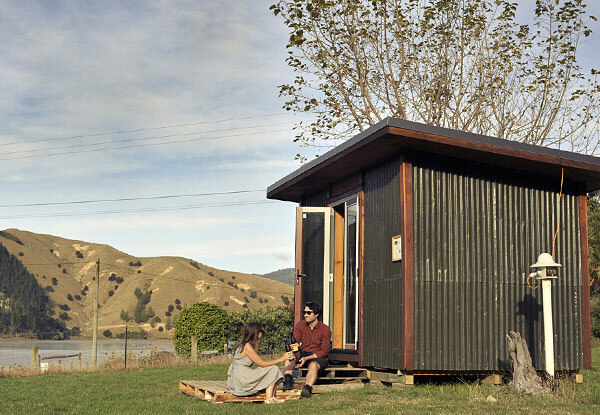 Just completed additions and systems now make this cabin fully self-contained and off grid; kind of like a mini Solabode solution. 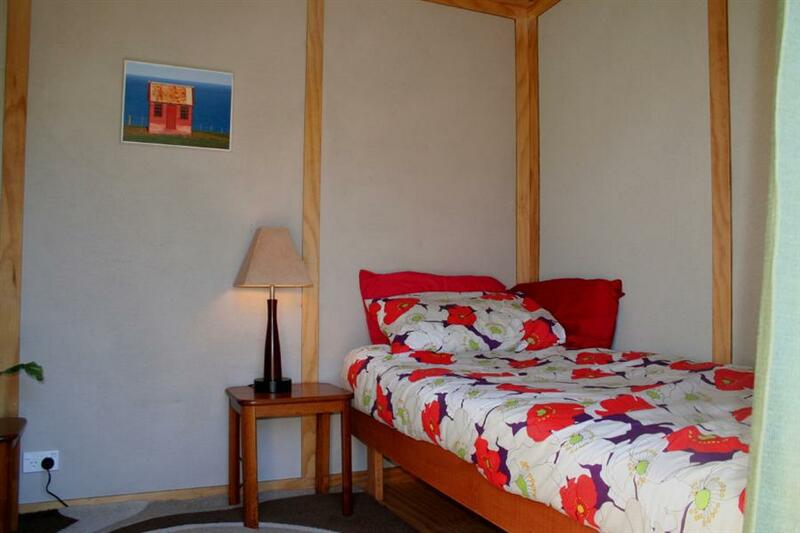 The building additions were made by prefabricating the wall panels from 45x45 douglas fir timber at home, then erecting on site. 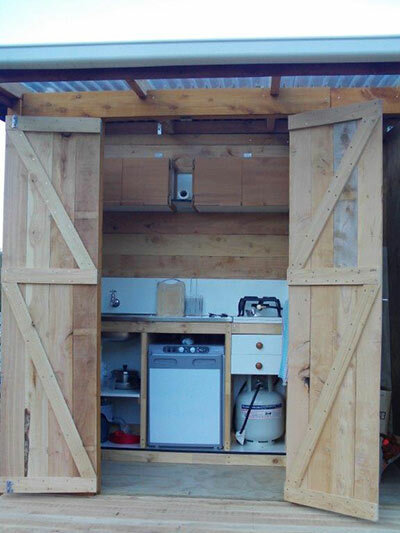 We have a wee kitchen with 3 way fridge, 1 burner gas hob and sink with running water. 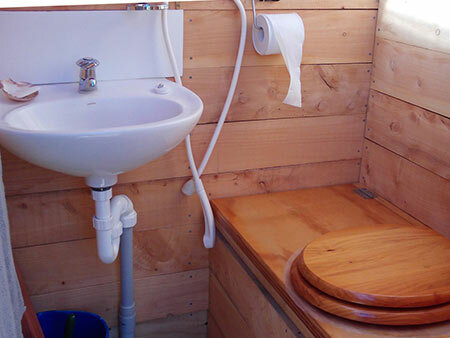 Also a bathroom with composting toilet with urine separator and wash basin. 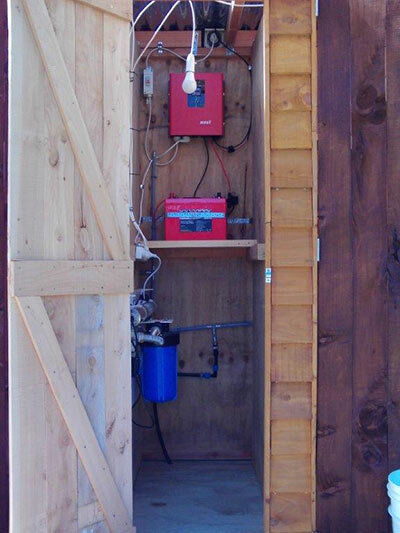 A small utility room houses a water filter and UV steriliser lamp, 700w inverter and 12v deep cycle battery fed from a 250w solar panel on the roof (the cabin is already wired for 240v). 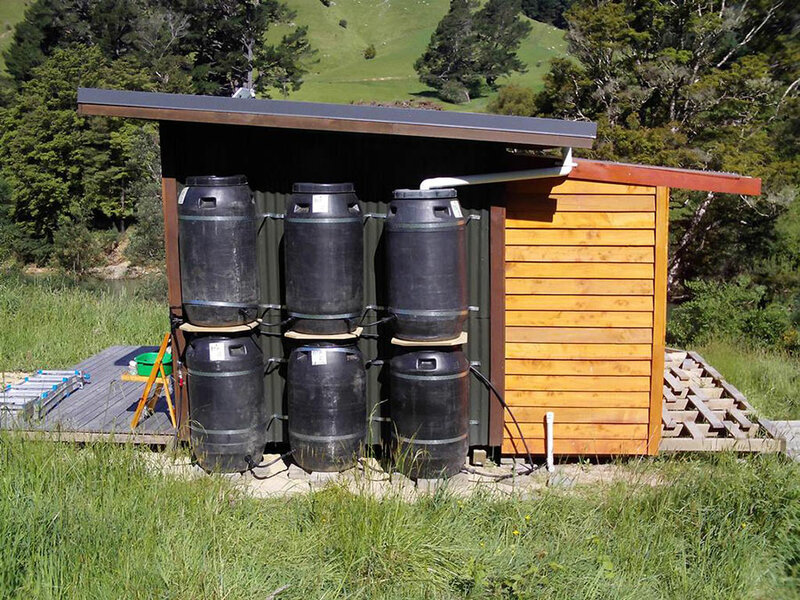 Six gherkin barrels from MacDonalds store 1200ltrs of rainwater to feed the taps and also a future outdoor bath. 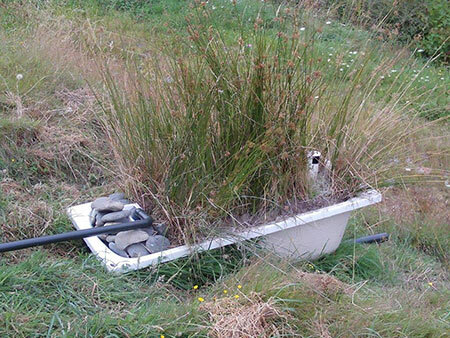 Another plastic bath filled with river rocks and planted with reeds provides a horizontal flow, sub-surface wetland greywater system and a Macrocarpa deck connects all the rooms with the main cabin. Pozie in its former location at Cable Bay; new deck to be added soon. 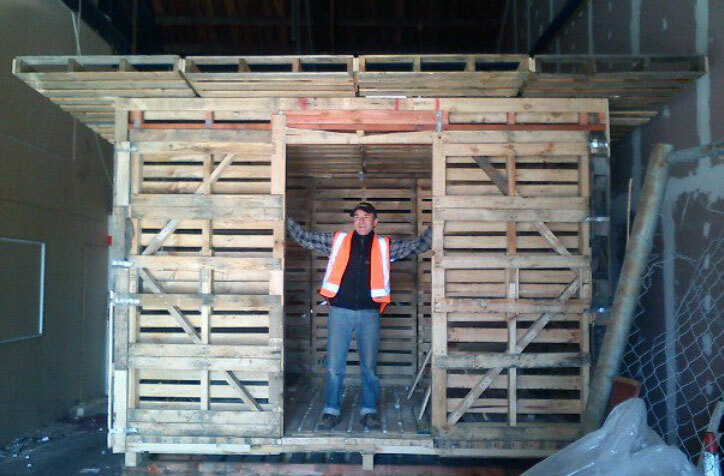 The Pozie floor, walls and roof panels are prefabricated for delivery to site on a standard trailer. 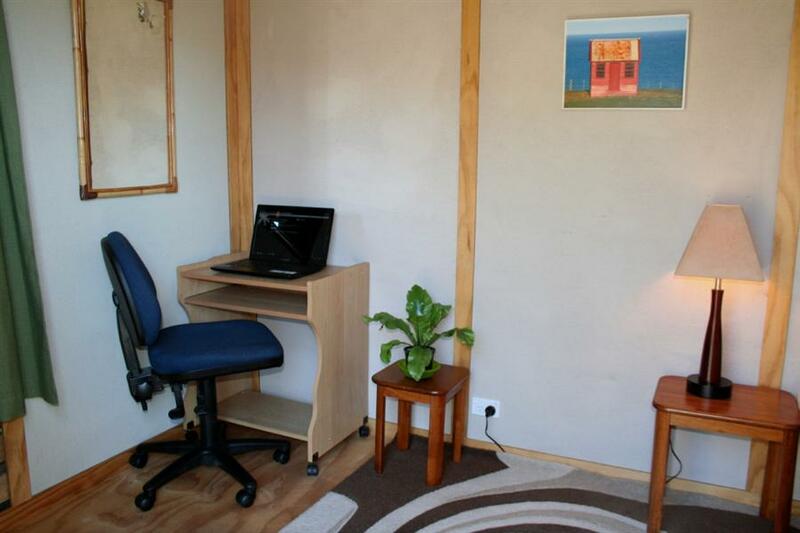 Ideal as a sleep-out, home office or accommodation unit, fully insulated and double glazed. 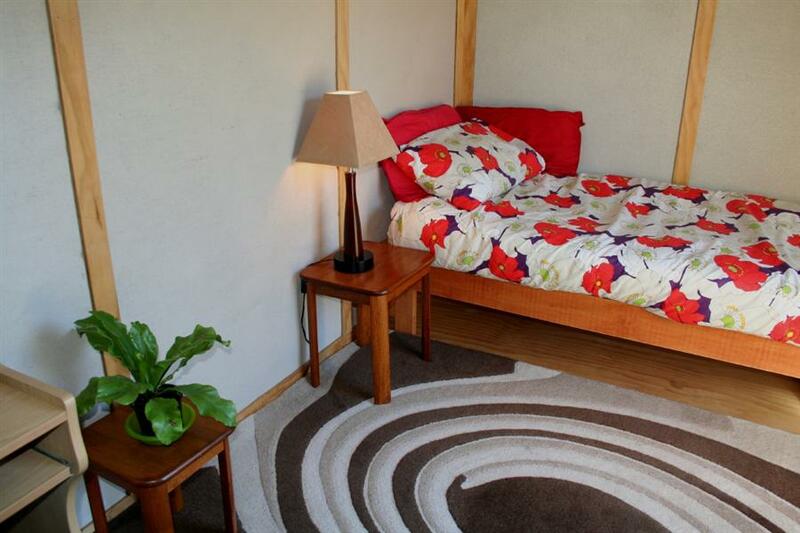 Under 10 sq.m. so does not need a building consent (conditions apply). 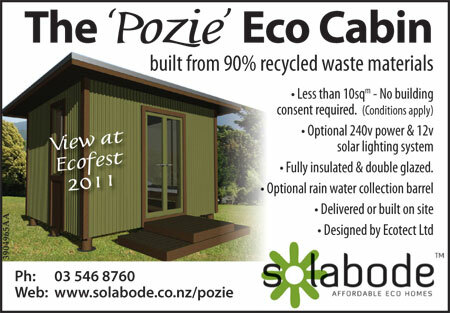 The Pozie is wired for 240v power and has an optional 12v solar lighting system. The Sustainable Habitat Challenge - a network of people designing and building more sustainable buildings and neighbourhoods. 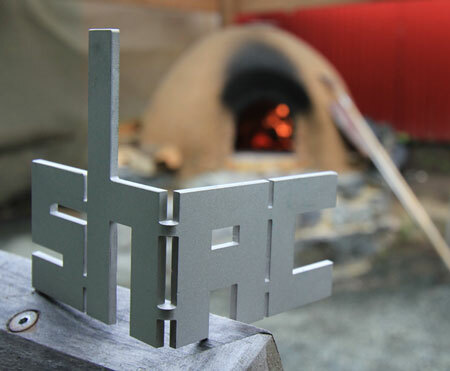 Affordable, delightful housing, micro architecture, prefabricated housing, and more...The SHAC aim is efficient, affordable, adaptable, durable, simple, healthy, and delightful buildings and neighbourhoods with focus on regenerative communities. Mark Fielding enjoys the view from the first Pozie under construction. 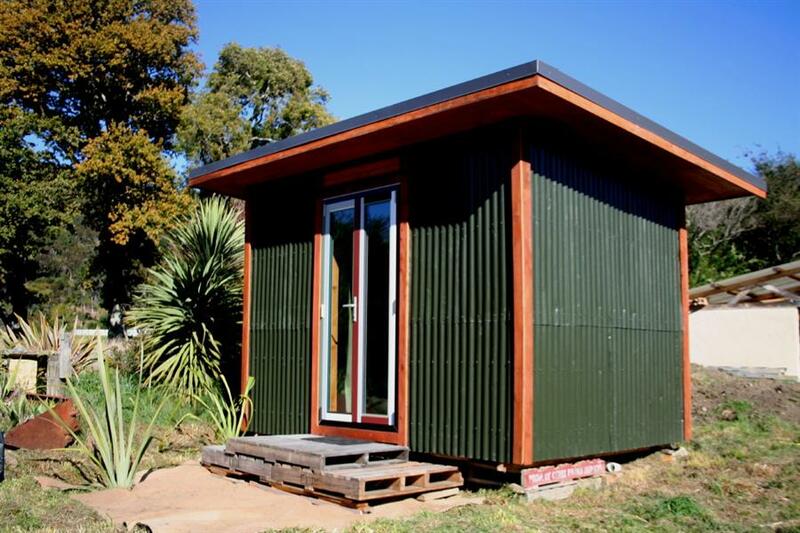 Weatherboard panel on east side is made from rainforest timber pallet boards on a table saw. 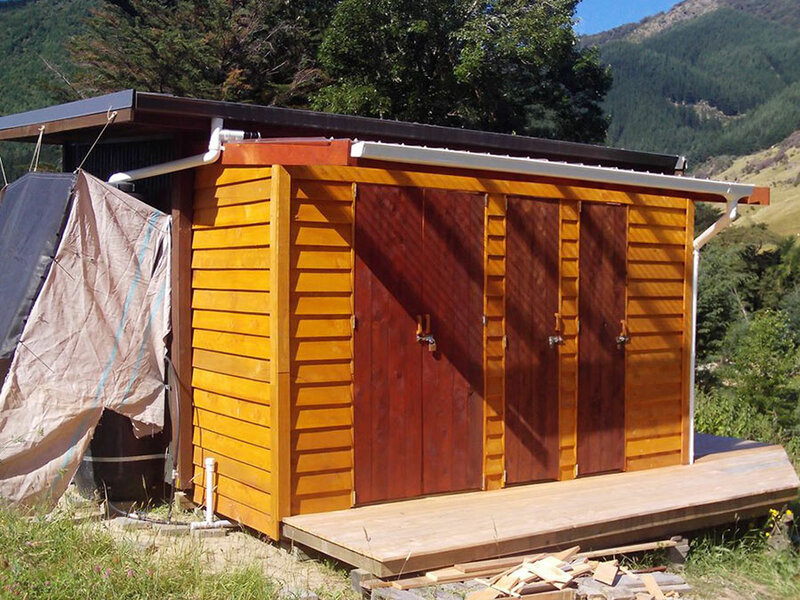 All exterior stain finish on wood is natural oil stain from the natural House Company in Motueka.